Triple murder suspect James “Todd” Brown. [Image via LASD] There were no obvious signs of trauma to Brown and a cause of his death is pending the outcome of an autopsy. LANCASTER – The coroner’s office and sheriff’s homicide detectives on Tuesday confirmed the identity of a man found dead in a pickup truck in the Lake Los Angeles area as the suspect wanted for a triple murder in Palmdale. 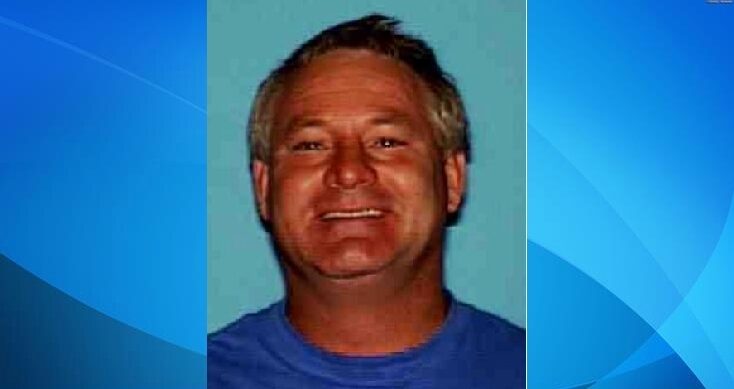 The body was identified as 54-year-old James Todd Brown, and there were no obvious signs of trauma, according to a news release from the Sheriff’s Information Bureau. 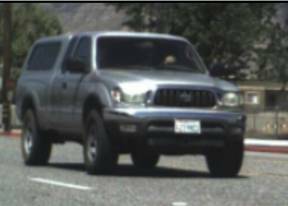 Brown’s body was discovered in a silver Toyota pickup truck, the vehicle he was confirmed to have been driving. His body was discovered in a silver Toyota pickup truck, CA License 42198C1, around 3:45 p.m. Sunday, Feb. 4, near the intersection of 250th Street East and Avenue G.
Brown was wanted in the killings of 52-year-old Richard Gardner III, 78-year-old Richard Gardner II and 56-year-old Pepper Gardner, who were found dead on Jan. 13 inside a home on the 1100 block of West Avenue N-12 in Palmdale, according to the sheriff’s department. The three victims were stabbed, suffocated and beaten to death in their home. Their dogs were also found beaten to death, authorities said. A family member asked for a welfare check of the home and upon entering the residence, deputies found the body of a man, then two more victims in another room. Brown and the victims apparently got into a dispute that led to the killings, according to the sheriff’s department. Brown lived on the victims’ property in a trailer for approximately two years while doing odd jobs for the victims, sheriff’s officials said. Anyone with any information that could help investigators should call the Sheriff’s Homicide Bureau at 323-890-5500. Tipsters can also call Crime Stoppers at 800-222-TIPS.